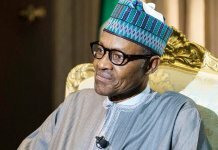 President Muhammadu Buhari’s conspicuous absence from Wednesday’s weekly Federal Executive Council (FEC) meeting at the Presidential Villa, Abuja, caused a stir, reawakening speculations about his health and capacity to run the country. Owing to the president’s absence, Vice-President Yemi Osinbajo presided over the meeting. Expectedly, his absence led to speculations among Nigerians, as many were of the view that the president, whose health has been fragile in recent months, may have suffered a relapse and had possibly been flown abroad for treatment. 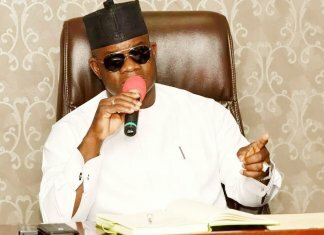 But the Minister of Information, Mr. Lai Mohammed, while briefing State House correspondents at the end of the meeting, debunked such assumptions, explaining that the council was aware of the controversies generated by the president’s absence. He dismissed the notion of a resurgence of the president’s illness, stressing that the president was neither ill, nor had he embarked on any trip outside the country. According to him, the president only looked at the meeting’s agenda and opted to yield the floor to the vice-president to enable him attend to other issues. 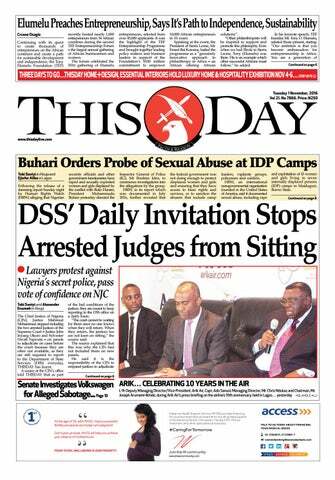 Buttressing this, Mohammed said Buhari would be back on Thursday, arguing that the president’s absence for only one day did not imply that anything had gone wrong. “Clearly, when we came in this morning, Mr. President was not in the chamber and the vice-president presided over the meeting. “That has sparked a lot of controversies and agitation among the people. Mr. President is in town. Mr. President is attending to other issues. “He looked at the light agenda and decided that the vice-president should preside. Mr. President is not ill. He’s not sick. “It is not unusual for the president to ask the VP to preside. We know it is not unusual the interest that has been shown, given the fact that the president was away for awhile for treatment. “So we are not surprised that people may be wondering, is he ill again? Tomorrow morning, he will be back in the office. “It is not unusual, even if the president is hale and hearty, for the VP to preside over a council meeting even when the president is around,” Mohammed said. Despite his absence, the president on Wednesday announced the appointments of five Non-Executive Directors for Central Bank of Nigeria (CBN), in accordance with Sections 6(1)(d) and 10(1) and (2) of the CBN (Establishment) Act. A statement by the president’s chief spokesman, Mr. Femi Adesina, said Buhari had forwarded the list of the nominees to the Senate for confirmation. The nominees are: Professor Ummu Ahmed Jalingo (North-east); Professor Justitia Odinakachukwu Nnabuko (South-east); Professor Mike I. Obadan (South-south); Dr. Abdu Abubakar (North-west) and Adeola Adetunji (South-west). Also briefing journalists on Wednesday on the status of the meningitis outbreak ravaging some parts of the country, the Minister of State for Health, Dr. Osagie Ehanire, said the disease was under control, adding that 420,000 victims of the disease had been vaccinated so far. 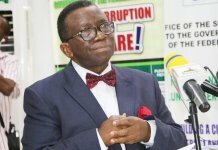 Ehanire, who said Zamfara State was the worst hit of all the 16 affected states accounting for 70 per cent of the victims of the disease, further disclosed that the Minister of Health, Professor Isaac Adewole, visited the state on Monday and met with traditional rulers on how to jointly contain the disease. He also disclosed that an additional 823,000 vaccines approved by the World Health Organisation (WHO), with a 10-year protection life span, would arrive the country from the United Kingdom at the weekend, adding that the vaccines would be moved to Sokoto. 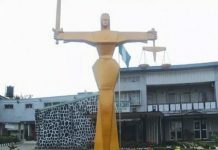 He also disclosed that there are currently 4,637 cases of the disease, with 489 fatalities recorded and 207 confirmed through laboratory tests. Ehanire added that the vaccines with the 10-year life span were of greater quality than the ones used in the past, which he said had a protective life span of two or three years. In his briefing, the Minister of State for Environment, Ibrahim Jubril, said FEC approved a memo by the Ministry of Environment for the ratification of a convention on mercury which he said had been affecting the health of the people and causing illnesses such as respiratory diseases. He also said mercury affects pregnant women and unborn children. He said the memo was the offshoot of a meeting of 2,013 international organisations held in Japan comprising 40 countries, 18 of which were African nations. He said with the approval of the memo by FEC on Wednesday, Nigeria was ready to join the international community. The minister also said the roadmap on the clean-up of Ogoniland was being drawn up.